Automate, save solvent, and save time with the Orbit Solvent Recycler! The Orbit integrates with any DAWN or miniDAWN MALS detector, Optilab RI detector, or ViscoStar viscometer, and even certain third party instruments, to direct the eluent from your flowing system to a waste bottle or back to the solvent reservoir. Program the Orbit (using ASTRA software) to place your system in "recycle" mode at the end of a sample set, and your flowing system will be equilibrated and ready upon your return without wasting large quantities of your mobile phase. This automated recycling functionality is critical for chromatography systems whose mobile phases may be costly to purchase/prepare/dispose of, and whose column equilibrations could take hours. A bright LED on the Orbit front panel clearly indicates the current solvent flow path - recycle or waste. The unit may be controlled manually via a Wyatt instrument front panel interface, or it may be automated within an ASTRA sample set. For automated Calypso II post-experiment cleanup, program the Orbit (in the CALYPSO software) to select between two Wash solvents. Solvent compatibility: wetted materials are PTFE, PEEK and 316 stainless steel. 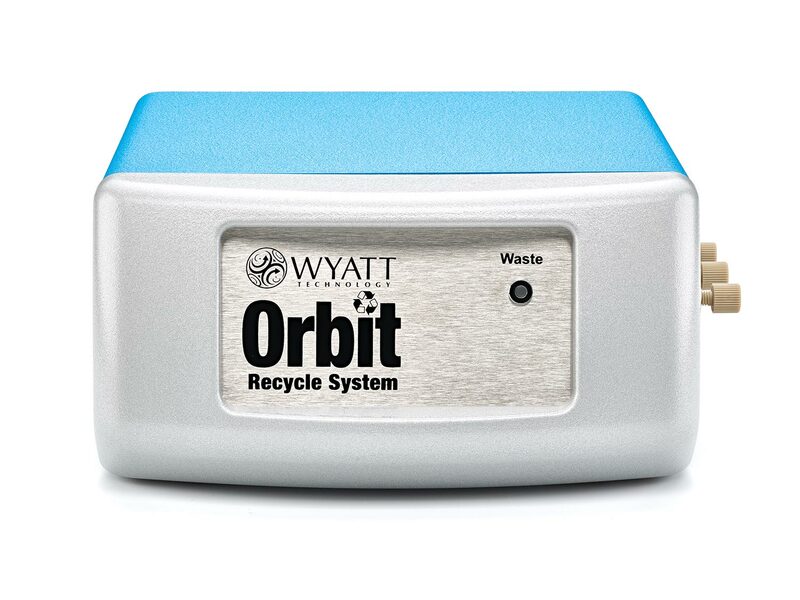 If you are a current US or Canadian Wyatt Technology customer, you can purchase the Orbit online. Visit the Wyatt Technology Store today!